Although I could never ever choose just one favorite dessert, toffee ranks right up there among my most-loved sweets. Last week, while Tim’s mother was in town, I learned the fine art of toffee making. 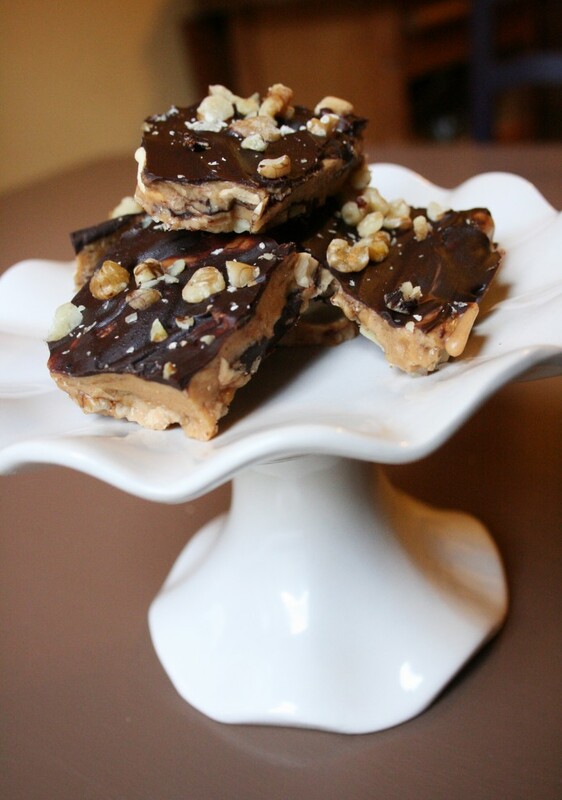 Cindy is a toffee-making pro, and she even procured the ingredients for us — including the $1 chocolate bars from CVS (sure, we needed more than just a dollar’s worth, but it counts for a blog post anyway). Let me tell you just how accomplished Cindy is when it comes to toffee. She made pans and pans and pans of the rich, buttery goodness for our wedding favors last year, and they were a real hit. We stuffed dozens and dozens of bags with the toffee, then attached these cute favor tags that matched our wedding announcements. Pretty, right? I can’t think of a better wedding favor. I better go snack on some toffee right now in honor of that blessed day. Credit for the great wedding photos goes to the lovely Meredith, and Linsey is responsible for the incredible design of the favor tags (and announcements). I sure have talented friends and family. Mmmm that looks so good! I remember driving away from Virginia after your wedding and realizing that we could have taken some extra toffee home with us. I was so mad!! 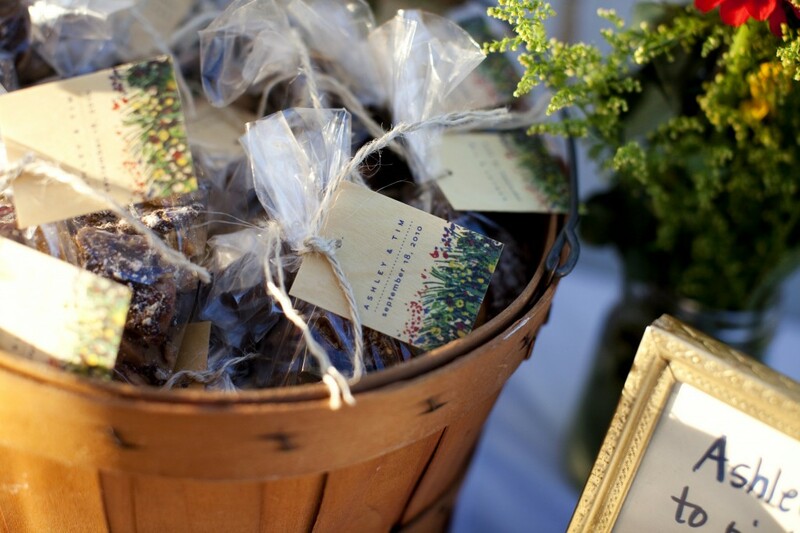 I remember stealing the toffee crumbs as we filled favor bags….that stuff is SO good! Ooh toffee is so good! 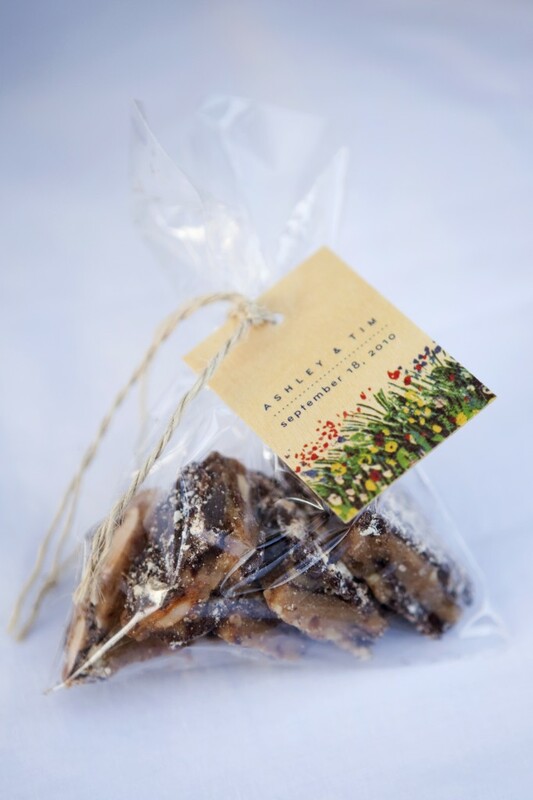 Those wedding favors are fabulous!